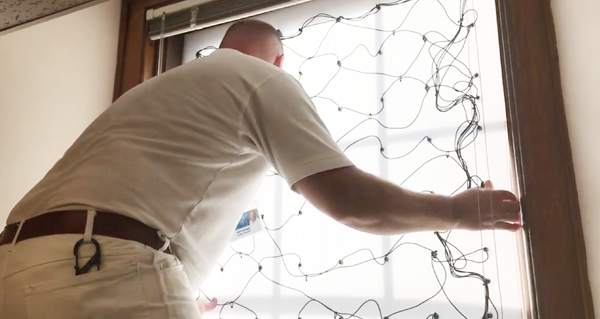 The Rochester, Minn., skyline will glow with a special holiday display. "Formed by 60 lighted windows, the tree stands 128 feet high and 131 feet wide. On top of the tree, which extends from the fourth floor through the twelfth, is a five-pointed star of plywood with a light on each point and one in the center." 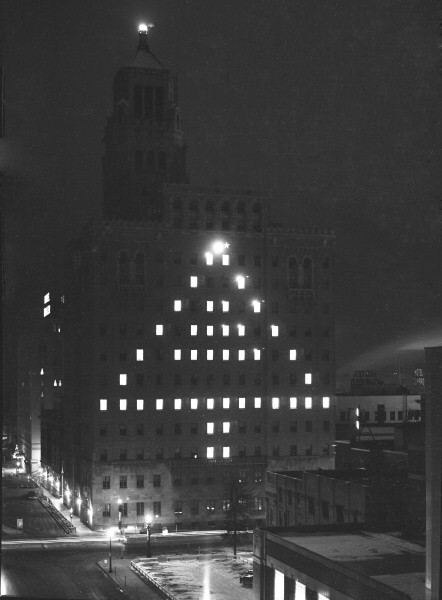 In 1957, the employee publication Mayovox announced the end of this popular tradition: "Not for lack of effort by Engineering Maintenance and the Electrical Department, but because remodeling on many floors has so changed the pattern of lights that it just isn't possible any more." 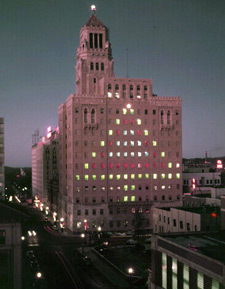 In the 1960s and early '70s, an illuminated star was placed in the Plummer Building bell tower. Amid the oil crises of the 1970s, Mayo Clinic ended this charming custom. 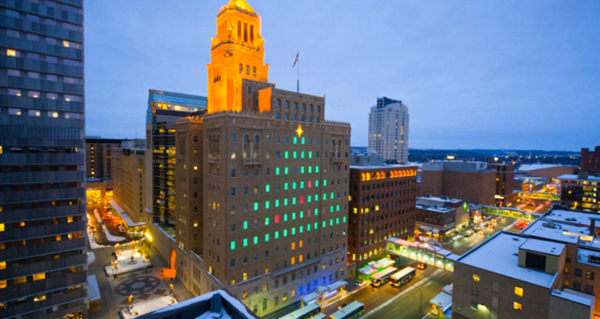 Now, using more than 7,000 high efficiency LED lights, the long-lost "glow" is once again restored to the Mayo Clinic campus each winter. Also, while displays in the 1950s lasted for only a few days around Dec. 25, this illumination extends throughout the holiday season. Daily, 4:30 p.m. to 8:00 a.m.
Click on the large colored image above for a brief video showing the lights in motion, and enjoy the video below showing what it takes to make this happen. Behind the Scenes of the seasonal lighting of the Plummer Building in 2017.